Buying a home is a very complicated task and so is finding the right home loan. Home loan buyers have to go through a range of eligibility criteria to determine the loan amount. While exploring home loans to buy a dream house, you may encounter a situation when the quantum of loan you are eligible for is not sufficient. 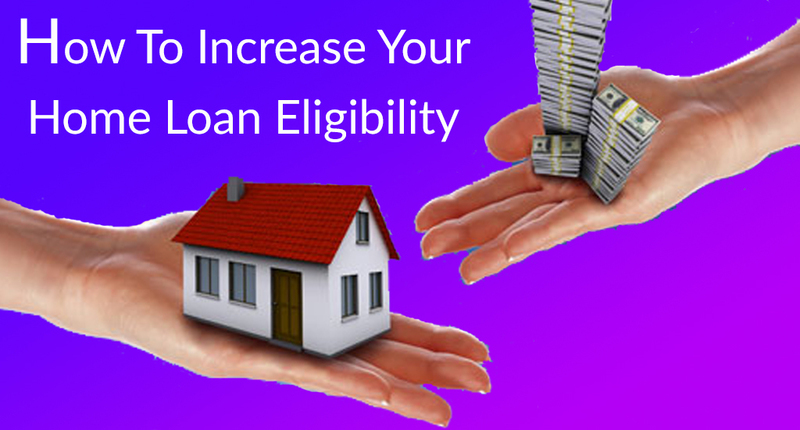 In such a situation, you need to improve your home loan eligibility to buy your dream home. Eligibility is a complicated process. The lenders consider various factors such as income, asset, current liabilities, source of income, applicant’s age etc while assessing your eligibility. With careful research and by making smart moves at the right time, you can easily increase your home loan eligibility. Here are some tips that can help in increasing your home loan eligibility. Clear other outstanding loans: Your other outstanding loans impact negatively on your loan eligibility as the proportion of your monthly income being paid as EMIs towards these loans are deducted from your monthly repayment capacity. If you are about to clear off these loans, you should pay them off completely first as it will help you improve your home loan eligibility. You may as well repay these loans from other sources, if possible. Increase tenure: The eligibility is calculated based on the capacity of the borrower on a monthly basis. Thus, if you increase the tenure, the EMI of loan will decrease and hence the borrower can now get higher amount with the same repayment capacity. However, it is advisable to set a limit while increasing your loan tenure as longer tenure may eat a big chunk of your money in the form of interest. Consider a joint home loan: When your income is not sufficient to get you a loan required to buy a new house, it is advisable to combine the incomes of other family members so as to increase your monthly repayment capacity. Family members you can combine income with include spouse, father mother, children etc. Applying with a co-applicant especially woman co- borrower enhances your home loan eligibility. Today, lenders provide concession at such cases. Click here to check your home loan eligibility . Consider step-up loans: Under step-up loan, the applicant is approved an amount that is higher than permitted by his current income. If the applicant is a young professional, the lenders consider the increase in the incomes of individual over the loan repayment tenure. Step-up home loans have moderate EMIs in the initial stages, which will further increase during the subsequent years as the income of borrower increases. Add all perks: While applying for a home loan, you should mention the additional bonus or perks from your employer or if you have any other source of income such as rental income, mutual funds, some other business income apart from your regular income. This will have a positive impact on your repayment capacity thereby increasing the eligible amount for a home loan. All these activities will also help improve your CIBIL Score and as result, your interest rates might get lower as compared to what it was promised by the lender earlier. To put it in a nutshell, the lenders look at your potential to repay the future loan and there are factors which affect that and you can take some actions to improve your chances of securing the loan or increasing your loan eligibility. To explore the best home loan schemes from different lenders, log on to www.afinoz.com or give us a call at +91 120 411 0376 or mail us atinfo@afinoz.com and get all the solutions at one go.